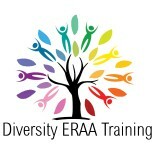 Diversity ERAA Training brings real and practical business solutions to help integrate immigrants into the Canadian workplace. Help workplaces successfully integrate and retain immigrant employees. Increase supervisor and employee competencies to effectively deal with cultural differences and intercultural communication challenges. Support international students while in Canada.